…with stellar butterfly decorations and more. 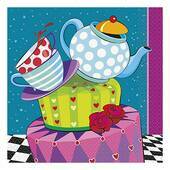 Create magical make-believe moments with a birthday tea party. Little girls adore dressing up for a tea party birthday party. And we have everything you need for the best princess party, girls dress up party, or Alice in wonderland birthday tea party. 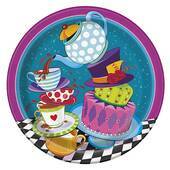 Mad Hatter Tea Party Paper Plate - 8 5/8"
…a fun addition to any carnival or birthday party. 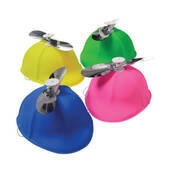 Coming in a package of 12 hats with 12 propellers these will surely be a hit at your kids birthday party. Give everyone a propeller hat for the party for them to take home. 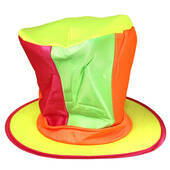 These propeller hats are a great party hat for an Alice in Wonderland party. 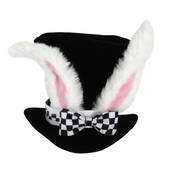 Get a great Alice in Wonderland rabbit top hat. 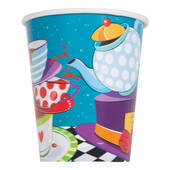 Complete your alice in wonderland tea party with this great top hat. The white rabbit top hat with ears is a perfect costume accessory for anyone who is having a great Alice in Wonderland tea party. 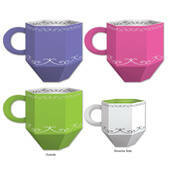 …tea party is easy with these great assorted color balloon lanterns. 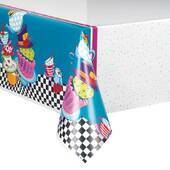 The balloon lanterns come in a package of 12 and are 9 inches tall and 12 inches wide. Simply fold open the balloon lanterns and hang them up with strings and you have a fun and easy decoration for your Alice in Wonderland party. …for all of our cardboard standups, simply follow the included directions and you can have a full size replica of your favorite star, such as Johnny Depp as the Mad Hatter or The Red Queen of Hearts. 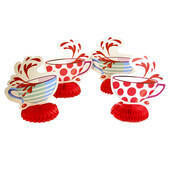 We also have many other tea party supplies to help make your Alice in wonderland tea party complete. A mini version of the classic pink flamingo, these mini pink flamingos work great for flamingo flocking. Stock up on plenty of pink flamingos for flamingo flocking. We are your best source for any flamingo product you may need to organize a great flamingo flocking. 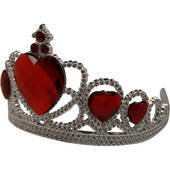 …with sunglasses, flower hats, tiaras and more. 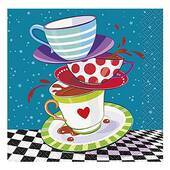 Create magical make-believe moments with a birthday tea party. Little girls adore dressing up for a tea party birthday party. And we have everything you need for the best princess party, girls dress up party, or Alice in wonderland birthday tea party.